Any person who interested in web designing, SEO or Blogging will definitely heard about Alexa Rank. Like wise Google Page Rank and Moz Rank, Alexa is also a ranking system for websites. In case of Alexa rank, A lower rank is good site ( Google have an Alexa Rank 1). "The traffic rank is based on three months of aggregated historical traffic data from millions of Alexa Toolbar users and is a combined measure of page views and users (reach). As a first step, Alexa computes the reach and number of page views for all sites on the Web on a daily basis. The main Alexa traffic rank is based on the geometric mean of these two quantities averaged over time (so that the rank of a site reflects both the number of users who visit that site as well as the number of pages on the site viewed by those users). The three-month change is determined by comparing the site’s current rank with its rank from three months ago. For example, on July 1, the three-month change would show the difference between the rank based on traffic during the first quarter of the year and the rank based on traffic during the second quarter." 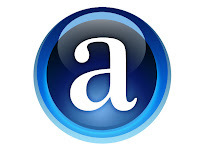 Improving your Alexa Rank, That means, Approaching to least value is very much easy. Webmasters many ways to do it and it ts easy than any other web rankings such as Page Rank etc. and also is important. Here is some ways to improve your Alexa Rank. 1) Install Alexa Toolbar on every PC you surf your own website/blog. Alexa only considers the page views by the PC or any device which installed their tool bar. So while you installed Alexa toolbar your Rank sholud come lower( lower is best). 2) Register on Alexa and let users write about you website on Alexa website. 3) The very easy way is, Alexa provides you a nice Rank if if paid ( Upgraded ) to premium users. And also provide many tools for observing their website/ blogs rating on the web. 4) Place an alexa widget on your blog/website which shows the current Alexa rank. It will helps to improve alexa rank. 5) Write a post about alexa ranking and place link between your's and Alexa's website. Alexa consider this too. Any other ideas to improve Alexa Rank? Add it as comment and Will helps others too.